UPC’s last minute withdrawal from the nominations for a joint opposition presidential candidate injects a dose of unpredictability into the Inter-Party Cooperation. Olara Otunnu’s failure to show up at Kololo Airstrip on Tuesday raises questions as to whether his party still believes in the viability of an opposition coalition against President Museveni during next year’s presidential elections. The IPC last Tuesday nominated potential candidates, one of whom will become its presidential candidate in the elections. The IPC which brings together five opposition parties, the Forum for Democratic Change (FDC), Uganda People’s Congress (UPC), Justice Forum (JEEMA), Conservative Party (CP), and the Social Democratic Party (SDP), received nominations from four parties.CP’s little known lecturer of philosophy at Makerere University, Prof James Kikongo was the first IPC presidential candidate to be nominated. FDC presented Dr Kizza Besigye, followed by JEEMA’s Hussein Kyanjo and later the youthful Michael Mabikke of the SDP. Sources close to UPC say a disagreement on whether the opposition should boycott the 2011 general elections prompted the party to restrict its involvement in IPC, The Observer has learnt. A highly placed source within UPC told The Observer that earlier this month, Dr Olara Otuunu, the UPC president, urged the IPC to boycott the forthcoming elections, a proposal that was flatly rejected. 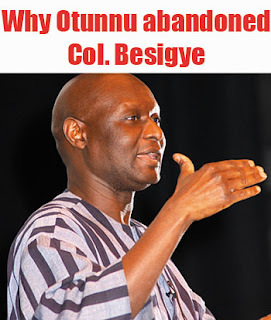 “Otunnu reasoned that the boycott would create a new political situation in the country. However, all the party presidents were opposed to his proposal. They said it was foolhardy to let President Museveni run against himself,” an insider in UPC said. Although IPC tried to play down Otunnu’s no show at Kololo for the nominations, arguing that it will not derail the cooperation’s plans, the development will stoke fires from its critics, like the Democratic Party, who predicted a stillbirth. DP leader, Norbert Mao, has been a lead critic of the cooperation, saying it is a political platform only designed to promote and widen FDC’s base at the expense of the other political parties. “Our plans are still on track. We shall meet next Monday (August 23) to build consensus on who should be our flag bearer. UPC must not nominate a candidate, they can back any of those already nominated,” Ibrahim Ssemujju Nganda, the IPC spokesman, told The Observer on Tuesday. Beginning on Monday, the four IPC nominees will meet and try to agree on a joint candidate among themselves. If they agree, then the candidate will be recommended to the IPC National Conference. In the event that no consensus is reached, the matter shall be put to a vote in the IPC National Conference. A candidate shall win by more than 50%. In the event that no candidate gains more than 50%, then the voting will proceed to a second round on the two candidates who will have gotten the highest number of votes. Each party will send 50 delegates to the conference. Right from the time he set foot in Uganda from exile, Otunnu, a former United Nations Under-Secretary and Special Representative for Children in Armed Conflict, was opposed to Eng. Badru Kiggundu organising the elections. While touring Arua in June, Otunnu said Kiggundu must be removed if the elections are to be free and fair. It however appears that Otunnu and the entire opposition have failed to dislodge Kiggundu. Although officially, UPC stated that Otuunu didn’t show up for nomination because he was attending a court hearing, it has emerged that there are simmering differences within UPC that are curtailing its continued participation in the IPC. Indeed that was confirmed by the varying reasons advanced for Otunnu’s absence. Insiders said UPC asked for more time to hold grassroots elections. But the UPC spokesperson, Robert Kanusu told the IPC officials that they were unaware of the Kololo function until Monday night. The contradictory remarks go a long way to highlight the divide between UPC and IPC. The Observer has also learnt that the IPC roadmap was adjusted at the urging of UPC, but to the chagrin of the donors who have been bankrolling much of the cooperation’s activities. The Observer has learnt that some UPC officials are having second thoughts about the party’s continued partnership with some of the opposition parties. In a meeting early this week, some members encouraged the party to pull out. Their reasoning is that the IPC is dominated by FDC functionaries. UPC members, sources say, were unhappy that most of the leadership roles in the IPC activities ahead of the election of the flag bearer are dominated by FDC officials. “Many of them thought that Otunnu would easily takeover the IPC leadership but that hasn’t been the case,” a source said. It is this faction, according to the source, that wants Otunnu to instead stand on a UPC ticket. According to the road map, a copy of which The Observer has, with the exception of Wokuri Margaret, Coordinator of the newly formed pressure group, the National Alliance for Free and Fair Elections (NAFFE), the rest of the people coordinating IPC activities are FDC officials. Patrick Mwondha, the source said, insisted in the UPC cabinet meeting that the party cannot pullout because it has been at the centre of the cooperation. As a matter of fact, only Mwondha turned up at Kololo. And some officials said during the meeting that Otunnu couldn’t be nominated in absentia. Otunnu is said to be out of the country. The Observer has also learnt that some UPC members are uncomfortable with some FDC officials like Wafula Oguttu whom they allege is using his influence to have better coverage in a daily newspaper, and stifling the publication of stories favourable to UPC and Otunnu. Wafula however said on Tuesday that publicity is created by activities the FDC has been engaged in. “If we have been moving around the country, and the media reports about our rallies, is that created by me?,” he asked. However, there are also UPC officials who are aspiring to contest for various leadership positions and are already seeing that FDC officials stand better chances of being elected IPC flag bearers. These, sources say, would rather have IPC fail. These aspirants believe they stand a better chance of election as solo UPC candidates. Related to this, some UPC members want a compromise candidate like former Buganda Kingdom Katikkiro Joseph Mulwanyammuli Ssemowogerere elected IPC flag bearer as a way of reconciling UPC with Buganda Kingdom with which they have had longstanding hostilities since the 1966 attack on the Lubiri. It was because of those varying voices that the UPC executive tasked the UPC Secretary General, Joseph Bbosa to formally write to the IPC leadership communicating their stand. On receiving the letter, Besigye, The Observer has been told, frantically tried to reach Otunnu on phone to urge him to accept the nomination in absentia but was unsuccessful. As a compromise, it was agreed that UPC be given more time to put its house in order.